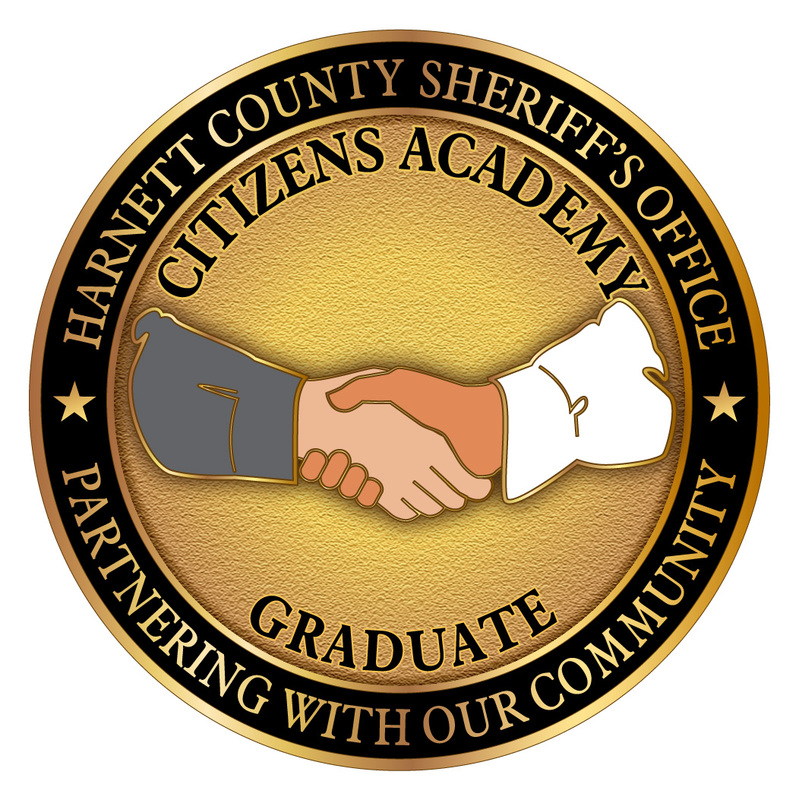 The Harnett County Sheriff's Office Citizens Academy is an opportunity for citizens of Harnett County to attend a 12 week class to learn about your Sheriff's Office. The classes are held once a week for 12 weeks on Tuesday nights from 6:00pm to 9:00pm at the Harnett County Sheriff's Office and one Saturday from 9:00am - 12:00pm. One of the Tuesday nights will be held in Sanford, NC and one Saturday at the firing range in Lillington, NC. The class sizes are limited to 25 citizens. Couples are welcome to apply. Participants will receive tours of the Sheriff's Office, 911 communications center and the detention facility.